We are Burke area residents, lifelong visitors, season pass holders, local business owners and leaders, leaders of and volunteers at area nonprofit organizations, employees and former employees of Burke Mountain, skiers, boarder, bikers and others who are united by our love for Burke, the surrounding area, and the Northeast Kingdom. It is our goal to make Burke Mountain successful during its receivership and ensure that employees, the local community, season pass holders, local businesses, property owners, and other stakeholders are treated well. Friends of Burke Mountain is also a source of unbiased and dependable news about developments at the Mountain and in the community. We aim to preserve and promote Burke Mountain, the Burke area, and the Northeast Kingdom, which are such critical parts of our lives and together constitute nothing less than a treasure. We partnered with Kingdom Trails to convince the receiver to open the Mountain in the summer of 2016 for mountain biking, bringing back jobs and recreational activity months ahead of schedule. We partnered with Burke Mountain Academy to obtain a $240,000 grant to build a high-speed T-bar as part of a $2-million plan to obtain the U.S. Ski Team’s designation of Burke Mountain as an Official U.S. Ski Team Development Site. We have raised more than $10,000 for community nonprofit organizations. Sean Doll is an Assistant Professor of Mountain Recreation Management at Lyndon State College, where he is the head of the Mountain Resort Management concentration and oversees internships for the Mountain Recreation Management Department. Sean, who has been teaching at LSC since 2010, lives with his wife and two dogs in Littleton, NH. 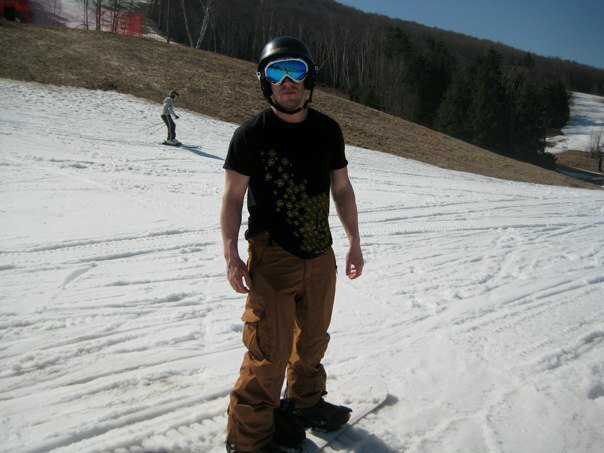 Sean has deep experience in all aspects of resort management, having worked at the Omni Mountain Washington Resort and Bretton Woods Ski Area in marketing, public relations, sales, event management, adventure activities, guest relations, and as an Assistant Director of Ski Operations. In addition to his knowledge of ski area management, Sean brings to the Board a record of service to nonprofit organizations including as a current Director of the New England Ski Museum and as a past Director of the Lyndon Outing Club Ski Area, and President of the Twin Mountain/Bretton Woods Chamber of Commerce. Michael learned to ski at Burke in 1990 and is a native of Lyndonville. He is a graduate of Lyndon Institute, Middlebury College, and Vermont Law School. He is admitted to practice law in Vermont, New York State, and Utah. He is currently a Shareholder at Strong & Hanni, a law firm located in Salt Lake City with 60 attorneys. Michael primarily practices construction law, personal injury defense, and environmental litigation. Michael is an Eagle Scout and volunteered as an Assistant Scoutmaster for several years in both Massachusetts and Vermont. Mimi’s love for Burke Mountain began 50 years ago when her parents bought a place on Lake Willoughby. She and her husband Tom have owned a Burke condo since 2000, and her family members have been season pass holders for many of the years since. Mimi primarily resides in Concord, MA but spends as much time in the NEK as possible. She is a graduate of Amherst College and Boston College Law School. She is admitted to practice law in Massachusetts and New York. She currently serves the President of the Board of Directors of Household Goods, Inc., a non-profit corporation in Acton, MA that distributes a full range of donated household items, free of charge, to help people in need make a home, and has also served on a variety of non-profit boards. In addition to downhill skiing, Mimi loves Nordic skiing, snowshoeing and hiking, especially with her dogs in the woods at Burke, which she holds sacred. Debra and her family reside in Brookline, MA and own a home in Kirby, VT. She had the immense pleasure of living full time in the Northeast Kingdom between 2000 and 2014. Although her work and day to day to day life are now spent in the Boston area, her heart is, and always will be in Vermont. She has been coming to the area, and skiing at Burke, since the late 1960’s. Debra studied Graphic Design at Pratt Institute and Syracuse University, and completed part of an MBA program at Simmons Graduate School of Management. She has served on many boards in the non-profit sector, including the boards of the Boston Symphony Orchestra, the Vermont Symphony Orchestra and the Warebrook Contemporary Music Festival. She is Vice President of Human Resources at Reputation Institute, the world’s leading research and advisory firm for corporate reputation management. Josh has been coming to Burke for 10 years, owns a house in East Burke with his wife Becky and still needs to write the rest of his bio..
Michael and his kids have been skiing at Burke for 15 years. He resides in Brookline, MA and owns a home in Hartland, VT. Michael is a graduate of Amherst College and Georgetown University Law Center. He is the Deputy General Counsel and Assistant Secretary of the U.S. division of a publicly traded global insurer. Michael has served on boards in the public and private sector, including on the Board of Selectmen of the Town of Brookline, MA and on the board of a division of one of the largest insurance companies in the U.K. He specializes in transactional law, corporate governance, and compliance. Michael is a skier who still holds a grudge against Burke’s excellent snow sports program for turning his kids into snowboarders.